Hailing a new generation of Great British festival, this year’s Royal Bath & West Show promises more farming, more food and drink and more fun – the same show, but even better. 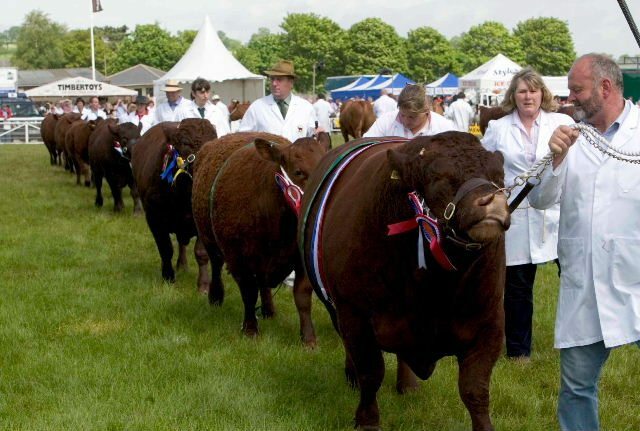 Schedules for the show – which will be held from 1-4 June – have just been released and for the first time ever livestock classes will be held on every day of the show, with the Grand Parade now being held on Saturday as well as Thursday and Friday. “This offers an opportunity for more visitors to be treated to a display of all the winners and for exhibitors to show off their prize winning animals,” says Head of Shows Alan Lyons. The show has introduced more classes for exhibitors to enter, including commercial beef steers on the hoof, providing more chances to win as well as offering more prize money. This year, the younger generation will be given a time to shine with Wednesday now dedicated to young exhibitors. A new team competition will be introduced, with three participants competing for each team; one preparing the show animal, one stock judging and one showing. “This team event will give the up and coming generation the opportunity to demonstrate their skills and help introduce them to friendly yet competitive world of livestock showing,” says Mr Lyons. The show will also host the Focus Texel Show, drawing in top breeders from across the country. “This will produce some really strong classes, with fierce competition and likely some tough decisions for the judges,” adds Mr Lyons. Exhibitors staying at the show will now have more evening entertainment with live music and a plethora of new street food stands. The Royal Bath & West Show will be held from 1-4 June. Entry schedules for the livestock, equine, poultry and other classes are now available online at www.bathandwest.com or by calling 01749 822200. As the Society approaches its 239th year it continues to deliver a wonderful mix of established traditional exhibits through to the latest energy technology and contemporary entertainment.